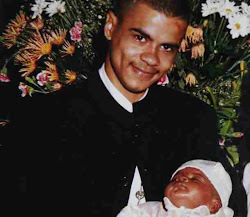 An independent investigation into the fatal shooting of Mark Duggan is being undermined by "irresponsible inaccuracies", the police watchdog said on Thursday. Len Jackson, interim chairman of the Independent Police Complaints Commission (IPCC), made the statement following suggestions by Stafford Scott, a community adviser to the IPCC, that the minicab carrying Duggan had been removed from the scene before IPCC investigators arrived. Scott and another adviser to the IPCC have both resigned, criticising its handling of the investigation. Jackson said it was "totally untrue" that investigators were not present when the taxi was moved, although he acknowledged the vehicle had been removed and later returned to the scene to facilitate forensic examination. Jackson also restated the IPCC's anger over a Guardian headline that Mark Duggan was unarmed when he was shot dead by a firearms squad. This headline has been amended online and is subject to an investigation by the Guardian's independent readers' editor. Duggan's fatal shooting in August sparked the riots in Tottenham, north London, which spread across London and the rest of the country over four days. The IPCC is carrying out an independent investigation into the shooting, which it has said could take six months. 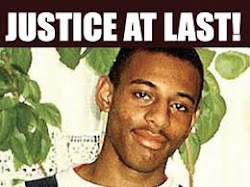 Jackson said in a statement on Thursday: "I am taking the highly unusual step of clarifying inaccurate, misleading and, more importantly, irresponsible comment that has appeared in recent days in relation to the IPCC investigation into the circumstances surrounding the death of Mark Duggan. "I am doing so because, if these inaccuracies continue to gain currency, they risk undermining the integrity of and public confidence in our investigation." Initial reports – which came from guidance issued by the IPCC – that Duggan shot at police were untrue. Ballistics tests showed that a bullet that had lodged in a firearms officer's radio had come from a police firearm. Duggan was a passenger in a minicab that was stopped by police near Tottenham Hale station after officers had followed him. Part of the operation has been captured on police video. There are no fingerprints on the weapon – which was inside a sock – or other forensics to link Duggan to the firearm that the IPCC says was found at the scene. Jackson said: "The IPCC's focus is, and continues to be, investigating thoroughly and robustly the circumstances around Mark Duggan's death. "We seek to uncover the truth and we do so without fear or favour. We will put all the facts in the public domain at the appropriate time and our investigation will be tested and scrutinised by Mr Duggan's family, by the community and by the court. "Jackson said the non-police-issue firearm recovered at the scene remains subject to forensic testing and remains a key part of the IPCC investigation. He said to date there was nothing to substantiate claims that a police officer had been seen throwing a gun. "Allegations citing that a police officer was seen 'throwing a gun' remain unsubstantiated by any witnesses or evidence," he said. "If anyone did witness this, then we would urge them to come forward and share this evidence with the IPCC." Disputing claims that the minicab was removed from the scene before the watchdog arrived, Jackson said: "IPCC investigators attended and took over the scene of the shooting on the evening of 4 August within two hours of being called. "The taxicab in which Mark Duggan had travelled remained at the scene of the shooting, in the presence of IPCC investigators, until mid-afternoon on Friday 5 August. "It was then sealed and briefly removed from the scene to facilitate further investigation at a specialist forensic facility." He said it was "disappointing" that two members of the watchdog's Community Reference Group – set up by the IPCC because of the sensitivity of the inquiry - had resigned from the panel. More than 160 witness statements have been taken, with more than 220 exhibits gathered, he said. 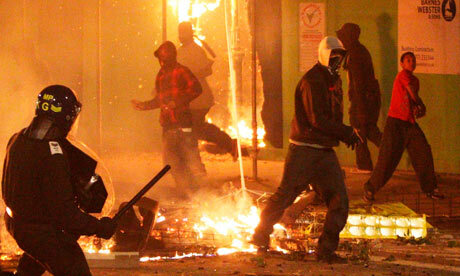 The British government seeks legal measures in order to ban public protests during the London Olympics 2012 Games giving the police enhanced powers to repress peaceful protesters. #Duggan Killer Cops Kettling Guardian For Publishing The Truth ! Andrew #Crich Police Informant Grasses On The Police ! An earlier appeal against Hall’s conviction for stabbing to death the 79-year-old at her home in Boydlands, Capel St Mary, in December 2001, was turned down by the Court of Appeal in January this year. Now, in what is being termed by his supporters as an “unusual step” the commission has agreed to meet Hall’s legal team later this month to discuss a further application. Hall’s appeal was based on expert testimony challenging the fibre evidence which led to his conviction at Norwich Crown Court in early 2003. However, in a renewed bid to get his case back before the appeal court, his wife Stephanie, from Ipswich, said she felt further evidence based around DNA, other viable suspects and CCTV had been unearthed. Mrs Hall said: “We acknowledge that it is an unusual step for the commission to meet with solicitors and applicants. “We will be discussing the basis of a future application. We are really grateful for this opportunity and feel it will be both helpful and useful before the submission of an application. Hall’s team were disappointed with the appeal judges’ decision, as they felt their expert textile analyst Tiernan Coyle had cast doubt on the fibre evidence. The court heard his conviction relied on the rarity and identical nature of fibre evidence found at Mrs Albert’s home and at Hall’s parents’ house in Snowcroft, where he was living at the time of the murder. Michael Mansfield, QC, representing Hall, said the trial jury had been inadvertently misled over how rare and indistinguishable the fibres found at the two locations were. However, Simon Spence, QC, representing the Crown, said an expert from the Forensic Science Service had used two different techniques to confirm the original finding that the fibres were identical. He added an independent analyst had backed this conclusion.